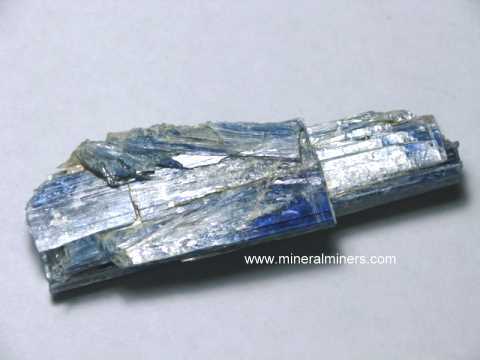 Crystal habit: Kyanite crystals commonly occur as tabular prismatic crystals elongated on c, can be folded or wavy, in bladed agregates, rarely terminated. Color: usually in shades of blue, also white, gray to black, yellow, green or colorless, often with irregular color zoning. 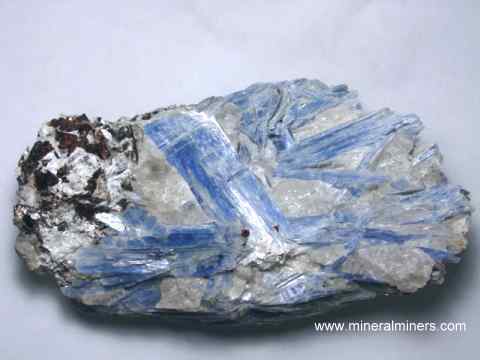 Kyanite crystals most often form in high pressure regionally metamorphosed aluminous rocks and in the quartz veins that cut through them, associated with quartz, muscovite, almandine garnet, biotite, staurolite and corundum. It also occurs in some kimberlite pipes and eclogites associated with pyrope garnet and omphacite. 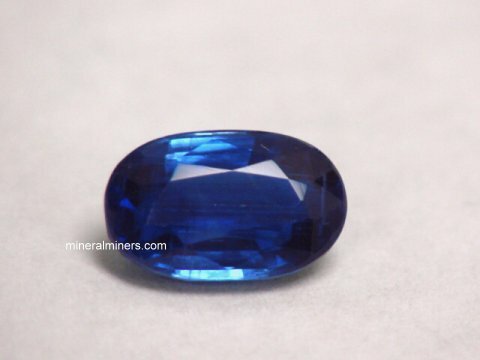 Kyanite is characterized by its blue color, differing hardnesses, perfect cleavage and bladed crystal form. 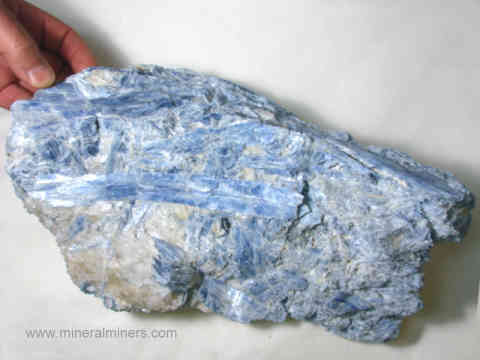 Kyanite got its name from the Greek word kyanos, which means blue. 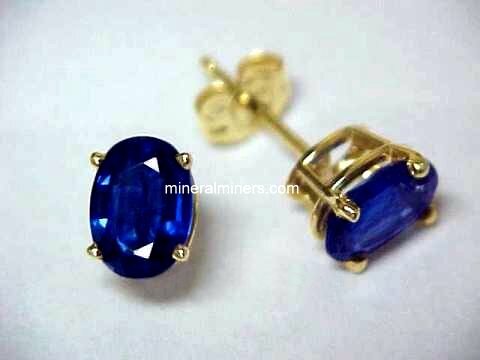 Kyanite gems of fine color and transparency are rare, and since the relatively low hardness and well developed cleavage make it comparatively easy to damage, its use as a gemstone is generally limited to earrings, brooches and pendants. 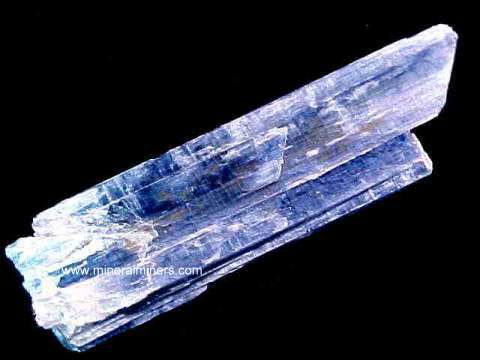 The astrological signs of kyanite are Taurus, Libra and Aires. 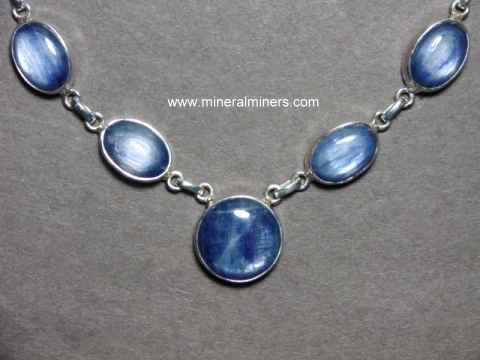 Wearing Kyanite jewelry is said to be very useful in enhancing one's creativity, broadening one's perspective, and in reaching a better understanding with others. 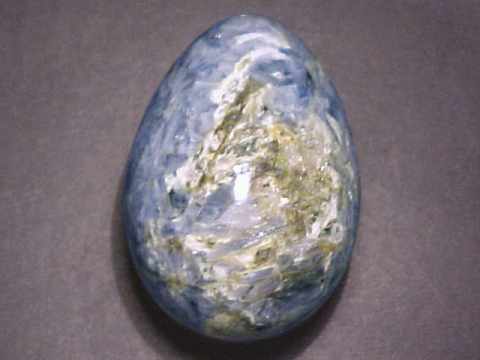 Kyanite is also said to bring calm and tranquility, and to facilitate meditation.